Smithey Environmental is the only company in Northeast Oklahoma to provide mobile onsite wood grinding utilizing a Rotochopper B66t Horizontal Grinder. 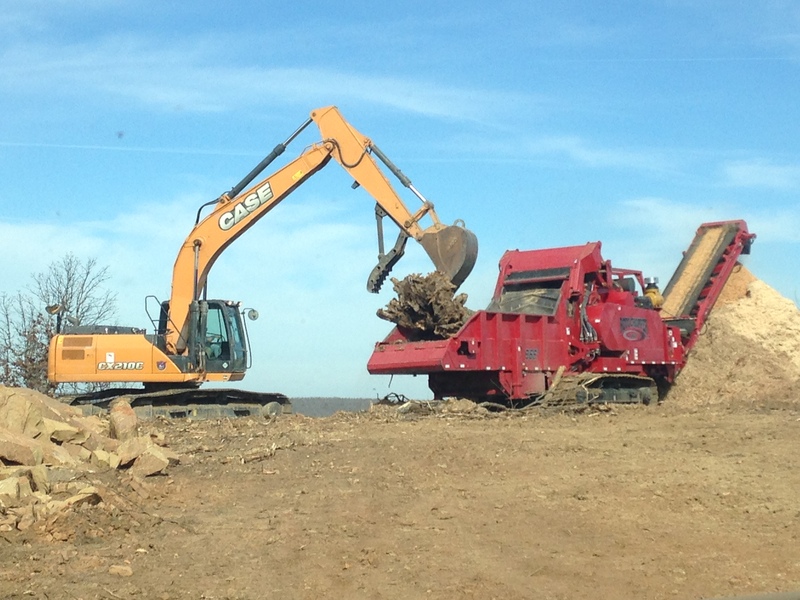 We have the ability to grind up to 300 cubic yards per hour of any type of wood waste, from whole trees and brush, too hard to process items such as bulky crates and pallets. Wood Shredding not only help’s in reducing transportation cost, but 100% of our wood waste is reused as mulch, boiler fuel, or reused in our Ecosnake erosion control. Once again proving why Smithey Environmental is leading the way in the green movement for the residents of Northeast Oklahoma. Give us a call today at 918-245-1070 to learn more about wood shredding. The only company in Northeast Oklahoma to provide mobile onsite wood grinding utilizing a Rotochopper B66t Horizontal Grinder.